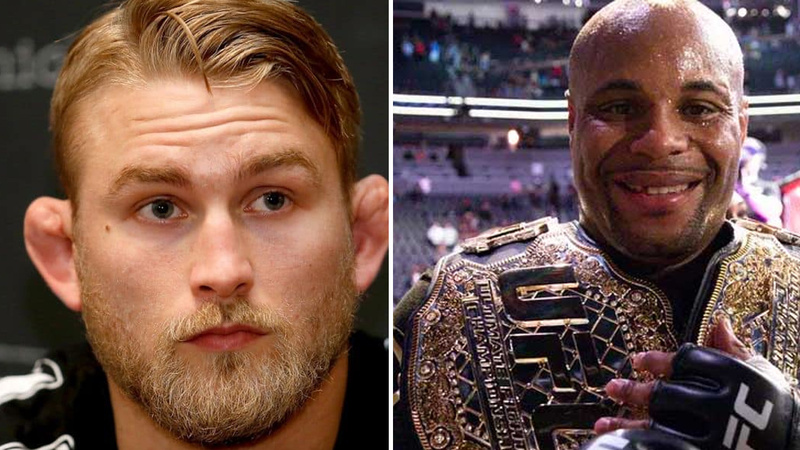 Home MMA News Alexander Gustafsson Could Go Heavyweight To Face Daniel Cormier! It Looks Like Alexander Gustafsson Is Willing To Do Anything To Fight Daniel Cormier! After the spectacular and surprising first-round clinch KO at the main event of UFC 226, Alexander Gustafsson became the man who lost nearly everything. He was waiting for the UFC Light Heavyweight title shot for a very long period of time but Daniel Cormier became the two-division champion! Daniel Cormier and Alexander Gustafsson have already had a showdown at UFC 192, where DC won via controversial split decision. The Mauler was trying to set up the second fight versus the current two-division champion but he was unlucky every single time. Brock Lesnar officially hasn’t won the fight since UFC 116, and he gets a title shot. Looks like The Viking has the similar opinion to Stipe Miocic when it comes to this insane move. “It’s not fun and pretty ridiculous in my opinion,” Gustafsson said of the Lesnar fight. “I don’t see the logic in this fight. It’s only a money fight [because] Brock has a big following from wrestling. Unfortunately, Alexander Gustafsson won’t fight versus Volkan Oezdemir at UFC 227. Despite DC might receive more money for facing Brock Lesnar, Mauler still believes Cormier definitively wants to stay away from the fight against him. Even Mauricio Shogun Rua has better chances of fighting for UFC Light Heavyweight title if he defeats Anthony Smith at UFC Fight Night 134 this weekend. Alexander Gustafsson confesses he respects Daniel Cormier and he doesn’t want to have the beef with him. Mauler also believes DC is better as a Heavyweight competitor, so his decision to risk and go one division up doesn’t come up as a big surprise. The only reason why Mauler dislikes Cormier is the fact he has his belt. What do you think, could the fight between Daniel Cormier and Alexander Gustafsson be the similar spectacle like Jones Vs Gustafsson back at UFC 165? One thing is certain, The Viking always shows his best performance versus the toughest superstars. Who is your favorite, if this fight happens? Next articleHere’s a pic of War Machine and his new girlfriend turned fiancee?